Stay Tuned with EVERWORKS To Grab this Greatest .MY Domain Promotion! 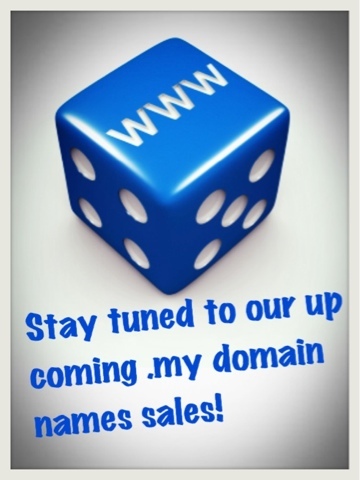 Please stay tuned with EVERWORKS, and we will launching our .my domain promotion very soon! While waiting for this great promotion, we would like share some 'TIPS' when selecting your domain names. A domain name is the foundation for any business to create a web presence on the Internet. When choosing a domain name, the most important point to note is the shorter the name, the better. The selected domain name should reflect family name for personal use, interest for activities and groups or business for identity, products and services. The domain name chosen should be easy to remember and easy to type without making mistakes. A domain name always has two or more parts separated by dots. Choosing the right domain name will portray your business identity, nature and ease of recognition. The domain name is then followed by a three letter or more suffix. Where to Check Available Domain? The easiest and fastest way is to visit www.everworks.com / http://www.everworks.com.my/domain.aspx and search through the Domain Checker! Also, feel free to visit the Domain Principle site, MYNIC at http://www.mynic.my and you may see their domain checker engine on the main page! What is the Maximum or Retail Price for .MY Domain Names?